The Phillies have been struggling, offense is inconsistent, bullpen sometimes adds fuel to the fire, Cole can’t win a game, injuries keep popping up. Suddenly, wins and losses, hitting streaks and slumps aren’t that important. Life is. Our fans loved Darren and I know they’re behind him at this time. That, too, is more important that wins and losses. How does Cole wake up from his nightmarish season? Return home to San Diego where he won his last five decisions against the Padres and last four at Petko Park. In a game that was a familiar pattern with Cole on the mound and yet a game with a different twist, the Phillies came out on top in 13 innings. When Cole is in the game, the offense is in low gear. Single runs in the first and second innings got the Phillies started but then the Padres got to Cole for five straight runs. This time the offense came around to eventually tie the game on a Delmon homer in the eighth. Comebacks have been lacking this season. Also lacking has been the bullpen until last night when J. C., Phillippe, Jake, Joe and Pap tossed seven scoreless innings, allowing just two hits and two walks. For a change, the pen was lights out. Cole got off the hook with the rally and avoided his 12th loss before July 1. Only three times in Phillies history has a pitcher lost that many through June: Kid Gleason (in 1891), Charlie Ferguson (1884) and John Coleman (1883). Phillies bussed to Los Angeles after the game to start a four-game series with the red-hot Dodgers tonight. LA has won five in a row, including a three-game sweep of the Giants. Pitcher – LHP, Mario Hollands, Clearwater… Two starts… 1-0, 0.69 ERA (1 ER, 13.0 IP) 7 H, 2 BB, 8 SO… Over his last 10 appearances (7 starts), he is 4-0, 1.35 ERA (7 ER, 46.2 IP), 9 BB & 37 SO… Selected by the Phillies in the 10th round of the June 2010 Draft out of UC Santa Barbara, Hollands was signed by Shane Bowers. Player – 3B, Maikel Franco, Clearwater/Reading… Six games… Batted .458 (11-for-24), 7 R, 3B, 3 HR, 8 RBI, 3 BB, 0 SO… It is the second time he’s won Player of the Week honors this season… Earned a promotion to double-AA Reading after he hit .299 (79-for-264), 42 R, 23 2B, 16 HR, 20 BB, 52 RBI & a .576 SLG % in 65 games with Clearwater… Promoted to AA, he is batting .524 (11-for-21), hitting safely in every game, with a 1.498 OPS in 5 contests… The 20-year-old leads the organization in HR (18) & RBI (57)… A native of Azua, DR, he was signed by the Phillies as a non-drafted free agent on January 13, 2010 by Koby Perez. **Lehigh Valley lost to Durham, 6-5. DH Josh Fields, 2 RBI, giving him 9 in last 7 games. **Reading lost 2 in New Hampshire, who completed a 3-game sweep. 3B Maikel Franco, 3-8, 3rd HR; hitting .483; also had 3 errors. **Clearwater was rained out at home vs. Brevard County. **Lakewood lost, 7-6, at Delmarva when the Shorebirds scored 5 in the 8th. BlueClaws out-hit Delmarva, 13-7, but 3 errors led to 5 unearned runs. **Gulf Coast League Phillies won their 1st game after 3 losses, 5-0, over the Pirates. 4 pitchers combined on an 8-hitter, allowing 1 walk and striking out 10. 1B Wilmer Oberto, 2 doubles, 2 RBI. With the injuries to Adams and Stutes and call ups of Aumont and Ramirez from AAA, relievers were shuttled in the minors: Luis Garcia (AA to AAA), Juan Sosa (High A to AA), Severino Gonzalez (Rookie to Low A) . . . Lakewood LHP Yoel Mecias was put on DL with elbow ailment . . . Lakewood also lost SS Ramon Quinn to a broken left wrist. Maikel Franco (World), both of the Reading Fightin Phils (AA). June 27, 1963–RF Johnny Callison hits for the Phillies’ first cycle in 30 years in a 13-4 victory at Pittsburgh. In the same game, CF Tony Gonzalez’s seventh-inning error ends his major league record for outfielders of 205 consecutive errorless games. June 27, 1980—LHP Steve Carlton fans the Mets’ Elliott Maddox in the fifth inning to set a new club record for career strikeouts, 1,872. Lefty won, 3-2. June 27, 2007—1B Ryan Howard hits a 505-foot home run, the longest home run in three-year-old Citizens Bank Park, during a 9-6 loss to the Cincinnati Reds. Howard became the fastest player to 100 home runs (it took him 325 games). June 27, 2010—LHP Jamie Moyer beats the Toronto Blue Jays, 11-2. A home run by Vernon Wells accounted for both Toronto runs, the 506 homer allowed by Moyer, breaking Robin Roberts all-time record. KK was sharp…..again. Domonic hit a rare homer and the Phillies won the middle game of the series in San Diego last night. For the 16th time in his last 23 road starts, KK held the enemy to two runs. Going into the game, he was 1-1 with an 11.57 ERA in two career games at Petco Field. In 16 starts this year, he’s given up two or fewer runs 11 times, a 1.92 ERA. In his five other starts, 0-4, 8.00 ERA. Domonic had a hot May but cooled this month. He homer was just his second this month. But, it came at the right time, a three-run bomb when they were down 2-0. Cole, who has struggled all season, takes the mound tonight at Petco where he is 4-1, 1.27 ERA in his career. Domonic is the eighth different Phillies player to reach 20 homers before July 1. Bigger, at age 25, he’s the youngest. 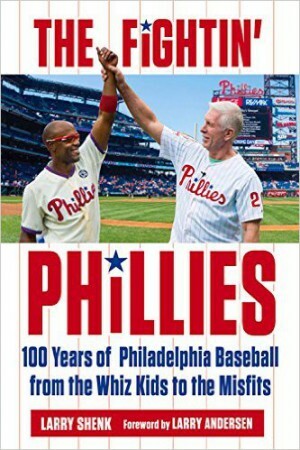 At 26, Chuck Klein (1931), Mike Schmidt (1976) and Ryan Howard (2006). Final HR totals for that trio in their respective years: Klein, 31; Schmidt, 38, Howard, 58. **Lehigh Valley fell, 3-1, to Durham, getting only 4 hits. LP: Raul Valdez (2-3). **Reading’s game at New Hampshire was suspended by rain, 0-0, after 3 innings. Game to be resumed tonight. **Clearwater lost to Tampa, 10-3. HR: RF Kelly Dugan (9), 1B Brock Stassi (2). **Lakewood lost, 7-6, on a 2-out walk-off single in Delmarva. 6 Lakewood starters had 2 hits each, including DH Willie Carmona, 3rd HR. **Williamsport was involved in a 3-3 game suspended after 5 1/3 innings by power failure. It will be completed in August. 3B Zach Green, 4th HR. **Gulf Coast League Phillies lost, 9-5, to the Yankees. CF Cord Sandberg, 3-3, including 1st pro homer and 2 steals. Check out the latest Alumni tidbits at http://www.phillies.com/alumni. What is Mike Lieberthal doing in a Captain America costume? 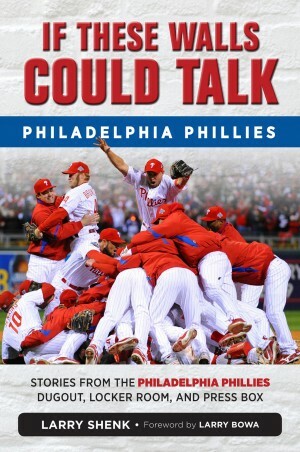 Cole had a 3-run lead on Friday night and wound up losing (shockingly his 11th), Pap blew a save on Saturday afternoon (third of the week) but Fransden hit his first walk-off homer (against a pitcher he faced as long ago as high school) to salvage a win and Sunday, Wright/Harvey combined to send the Phillies to another weekend rerun. On May 17-18-19, the Phillies took two of three from Cincinnati in a weekend series Since they have lost five straight weekend series, 1-2, 1-2, 0-3, 1-2 and 1-2. That’s consistent but not the consistency the club is looking for. Last win by a Phillies starter on a weekend game, May 11, Cliff. After Sunday’s shutout, the Phillies boarded a Delta charter flight to the other end of the country. A 10-game, 3-city trip begins tonight in San Diego. Good news: Phillies are 246-199 overall against SD and 24-6 at Petco Park. Bad news: Padres are 24-15 at home, 23-8 in their last 31 games and 9-4 against the East, including a three-game sweep of Atlanta at home June 10-12. The Mets’ Harvey is 7-1, 3-0 against the Phillies . . . Wright’s Sunday homer was his 17th at Citizens Bank Park, most among the enemy . . . Cliff goes for his eighth straight win tonight . . . Utley and Rollins, providing they start tonight, will play in the 1,000th game as the Phillies double play combination. Only the Yankees’ Jeter/Cano combo has more games, 1,036 . . . Stutes went on the DL Sunday, marking the second straight day a reliever was DLd . . . Aumont is back, giving the Phillies five relievers who have pitched in AAA this year. Pap and Antonio are the only ones in the pen that haven’t. **Lehigh Valley dropped 2 of 3 in Columbus, including an 8-7 decision on Sunday when the Clippers scored 1 in the 8th and 2 in the 9th. **Reading took 2 of 3 from Richmond. RF Anthony Hewitt, hit 3 homers (8 season). 3B Maikel Franco, .471, (8-17), triple, 2 HR, 5 RBI in 4 games since promotion to AA. **Clearwater had a postponement, a loss and 1-0 win on Sunday, a combined 4-hitter by Mario Hollands and Juan Sosa. Peter Lavin’s SF won the game in the 9th. **Lakewood was swept in West Virginia, 11-7, 8-2 and 8-0. BlueClaws have lost 7 straight in WV. **Williamsport won 2 of 3, including 7-1 decision over Batavia, a combined 1-hitter by Drew Anderson, Lee Ridenhour and Rob Marcello, who gave up the 1 hit, a lead-off homer in the 9th. 3B Zach Green, 3rd HR, 5 RBI over the weekend. SS Angel Mora, grand slam, 2 steals and 5 RBI in Saturday’s win behind Mitch Gueller (2-0). Gulf Coast League Phillies: Rained out Friday and lost, 6-5, in 13 innings to the Blue Jays in the season opener on Saturday morning. Last home games of this month. Sunday night, Phillies head for SD, LA and Pittsburgh before returning home on July 5 to host the Braves. It will be Atlanta’s first Philly trip of the year. Mets this weekend for three. Phillies and Mets stack up pretty even in some categories. Runs allowed: Phillies 319, Mets 317. Runs scored: Phillies 269, Metes 266. Then, a wider spread in two other areas. Team batting average: Phillies .250, Mets .227, which is last in NL. Team ERA: Mets 4.07, Phillies 4.22. To Michael Young. His two-run homer on Wednesday pushed him over the 1,000 RBI mark (1,001). He’s the 242nd player in baseball history to reach that level. Of active players, he’s one of 18. Read where the RBI didn’t become an official statistic until 1921. Were all those RBI before then make believe? Semi-final games and championship will take place at Citizens Bank Park on Monday and Tuesday. Semi-finals at 9:30 a.m. and 1 p.m. on Monday followed by the championship game at 10 a.m. the following day. A chance to see some of the best high school players from the tri-state area. 3B Gene Freese passed away on Sunday in Metairie, LA, at age 79. He played 12 years (1955-66) in the majors including 1959 with the Phillies when he hit 23 homers and drove in 70 runs. Five of those homers came as a pinch-hitter, a club high until matched by Matt Stairs in 2009. Freese was traded to the White Sox after the 1959 season for OF Johnny Callison. **Lehigh Valley completed a 3-game sweep in Toledo, 3-0. WP: Raul Valdes (2-2); SV: J. C. Ramirez (2). LF Darin Ruf, 2-3, RBI. LV has won 7 of last 9. Ohio journey continues with the next four games in Columbus. **Reading lost, 5-2, to Portland. Chase Utley was 0-5. 3B Maikel Franco made his AA debut, 2-5. LP: Jesse Biddle (3-7) allowing all 5 runs in 6 innings. Reading is home to Richmond this weekend. **Lakewood was a 9-4 winner at West Virginia. WP: Jed Stefan (2-4). DH Willie Carmona, 2-4, 2 RBI. SS Roman Quinn, 2-4, 31st steal. Three more games in WV this weekend. **Williamsport lost, 12-6, at Jamestown. LP: Shane Martin (0-1). HR: 3B Zach Green (2), SS Angel Mora (1), C Gabriel Lino (1). Tonight and Saturday in Jamestown and back home Sunday (5:05 p.m.) against Batavia. **Gulf Coast League Phillies season starts at 12 noon today, Blue Jays at Carpenter Field. At Blue Jays (Dunedin) 10 a.m. Saturday. League does not play games on Sundays. June 21, 1964, 1st game–RHP Jim Bunning (7-2) pitches the first perfect game in Phillies history when he blanked the Mets, 6-0, on Father’s Day at New York. Gus Triandos catches the perfect game and becomes the first catcher ever to be behind the plate for no-hitters in each league. 18-year-pld Rookie RHP Rick Wise wins his first major league game in the second game, 8-2. June 23, 1973–LHP Ken Brett sets an ML record for pitchers when he hits a home run in four straight games (9th, 13th, 18th). The fourth homer comes in a 7-2 victory at Montreal. June 23, 1986–Phillies destroy Chicago, 19-1, and set a modern league record with 15 extra-base hits and a new club record with 11 doubles. 2B Juan Samuel drives in six runs. LHP Shane Rawley (10-4) beats LHP Jamie Moyer (1-1). **Pap would blow two saves in three games? **Ben would begin the first with a single and Michael would follow with a home run and the Phillies wouldn’t score the rest of the night? **The next hit after that homer wouldn’t come until Chooch’s two-out single in the 10th, snapping a string of 34 consecutive hitless plate appearances? **The first time the Phillies had a runner in scoring position would not come until the bottom of the ninth following two walks? Well, it all happened last night. KK pitched brilliantly, allowing one run on two hits in 7.2 innings. Clinging to a 2-1 lead, Pap blew his second save in three nights in the ninth inning by allowing a run. When the game started, the Phillies were 28-0 when leading after eight and the Nationals were 1-30 in the same scenario. Desmond ended the night with a grand slam in the 11th. No game today, the Mets for the weekend and a flight west Sunday night for the start of a three-city, 10-gam trip. Pitcher – LHP Hoby Milner, Clearwater… One start… 1-0, 0.00 ERA (7.2 IP) H, BB, 7 SO… Milner earns POW honors for the second time in three weeks…Over his last 10 starts he is 6-0, 1.72 ERA (12 ER, 62.2 IP), 60 SO, 11 BB… Milner, 22, is the son of former major league catcher Brian Milner… He was selected in the 7th round of the 2012 draft out of the University of Texas and signed by Steve Cohen. Player – DH/INF Willie Carmona, Lakewood… Six games… Batted .550 (11-for-20), 3 R, 2B, HR, 6 RBI, 2 BB… Carmona has hit safely in seven-consecutive games as of print (12-23, .552)… He has a team-best 16 multi-hit games this year… Carmona is batting .370 (27-73) since 5/21 and .393 (22-56) since 5/26… On 4/25 his average stood at .182, as of print he is batting .286… The 22-year-old was selected in the 11th round of the 2012 draft out of Stony Brook University (NY) and signed by Eric Valent. **Lehigh Valley was a 10-6 winner at Toledo . . . DH Josh Fields, 2-4, 4 RBI . . . LF Darin Ruf, 2-4, 7th HR . . . 1B Cody Overbeck, 3-4, RBI . . . WP: Ethan Martin (7-3), 5 IP, 4 H, 4 R.
**Reading rallied from down 8-2 after three innings by scoring two in the eighth, two in the ninth and game-winning RBI single by Tyler Gillies in the 10th. Final: 9-8. 1B Jim Murphy, 4-4, 12th-13th HR, 4 RBI . . . 3B Tyler Henson, 4th homer, two-run blast in the 8th . . . C Sebastian Valle, solo homer (6) starting the 9th; tying run that inning scored on a wild pitch . . . Four relievers shut the door after Brody Colvin allowed 8 runs . . . RH Luis Garcia (1-0 ) got the win . . . Chase Utley played eight innings at second base in a rehab appearance; 0-4, all fly outs . . . Win was Reading’s 6th in last 7 games. **Clearwater lost to Daytona, 4-3 . . . 2B Carlos Alonso, 4th HR . . . DH Chris Serritella, 3-4 . . . LP: Nick Hernandez (3-2) . . . RH Severino Gonzalez, a 19-year-old from Panama, had 1.2 scoreless relief innings. In 26.1 innings, he’s allowed 2 runs (1 earned), walked 2 and struck out 32. **Promoted: 20-year-old 3B Maikel Franco was promoted to Reading. He leads the organization with 16 homers, 52 RBI and a .576 slugging percentage while hitting .299. In 65 at-bats, he has just 39 strikeouts. **Lakewood was not scheduled. 7-game road trip begins tonight in West Virginia. **Williamsport dropped an 8-3 decision at State College . . . CF Gustavo Martinez, 2-5, RBI . . . SS Jairo Cardozo, 2-5, SB . . . LP: Joshua Warner (0-1). June 20, 1900–Brooklyn scores seven runs in the 11th inning for a 20-13 lead. When the Phillies stalled in the bottom of the 11th, hoping that the game would be called by darkness, umpire Hank O’Day forfeited the game to Brooklyn. For more Phlashback moments visit http://www.phillies.com/alumni. Masterful, dominant ….you name it and it was Cliff last night. Won his seventh straight game and didn’t walk a batter, the sixth time he’s picked up a win without allowing a walk. Since 2010, he’s won 10 games without issuing a walk, most wins in the majors. Once again Cliff gave a clinic in pounding the strike zone. He threw 110 pitches in eight innings. 83 were strikes. Young pitchers should take note. The Phillies didn’t hit a home run at home for the first time since May 18 but they put runs on the board using doubles, a bunt base hit, sacrifice, sacrifice fly and a pick-me-up two-out single by Fransden. The Phillies had loaded the bases in the sixth with no out but Ryan and Domonic both struck out. Kevin came through with a clutch single to left. Michael Young had three doubles, a first for him since 2006 and a first for the Phillies since Mayberry in 2011. The Big Piece’s RBI was #957, tying him with Sam Thompson for fifth place on the Phillies all-time list. Chuck Klein is fourth, 984. **Lehigh Valley blanked Toledo, 3-0. WP: Carlos Zambrano (1-0), 0 R, 5 H, 7 IP, 1 BB, 6 SO . . . SV: Phillippe Aumont (2), 2 H, 2 SO, 1 IP . . . 2B Cesar Hernandez, 2-4, 2 RBI, 20th steal. **Reading split a pair with Portland, 4-1 win and 3-0 loss. RH Seth Rosin (4-4) was the 1st game winner, 3 H, 1 R, 1 BB, 5 SO, 7 IP. **Clearwater was pounded by Daytona, 14-8. 3B Maikel Franco, 16th HR, 3 RBI, 52 for season. Leads organization in HR, RBI. **Lakewood on 3-day All-Star Game break. **Williamsport lost, 7-3, to State College in 11 innings. 3B Zach Green was Williamsport’s offense, 2 doubles, 1st HR, 3 RBI in 5 AB. Things look a lot rosier when the Big Piece is going deep and driving in runs. He had two RBI as the Phillies survived Pap’s first blown save thanks to Domonic’s two-out, walk-off RBI single in the ninth, 5-4 last night before the season’s third sellout. Pap gave up a two-out, two-strike, game-tying homer in the ninth after the Phillies failed to add on to a 4-3 lead in the eighth, leaving the bases loaded. Win was their fifth in a row at Citizens Bank Park and ninth in the last 14. In their lasts 46 games there against the Nationals, Phillies are 31-15. It was the Phillies 32nd home game, fewest in the NL and only behind the White Sox (30). Five more at home this week and then another three-city, 10-game road trip. **Lehigh Valley lost, 8-6, at Toledo, the start of an 8-game road trip in Ohio (Columbus next). Tyler Cloyd (1-5) lost his 1st start back in AAA, 8 R, 4.1 IP . . . C Jermaine Mitchell, 5th HR, 2 RBI . . . RF Leandro Castro, 7th HR, 3 RBI. **Clearwater unloaded 15 hits in beating Daytona, 9-2. RF Kelly Dugan, 3-5, 8th HR . . . DH Chris Serritella, 3-4 . . . 1B Brock Stassi, 2-4, 3 RBI . . . WP: Mario Holland (4-0), 1 R, 5 IP. **Lakewood is hosting the SAL All-Star Game tonight. **Williamsport opened its season with a 4-2 win at State College pounding out 13 hits . . . C Gabriel Lino, 3-4, 2 RBI . . . 2B Andrew Pullin, 2-5, triple . . . DH Justin Parr, 2-4 RBI . . . WP: Mitchell Gueller (1-0), 3 R, 0 ER, 5 IP . . . SV: Tyler Buckley (1). Our deepest sympathy is extended to the family of former Phillies All-Star catcher, Stan Lopata, who died on Saturday. For a complete obit, check http://www.phillies.com/alumni. How do you summarize a weekend in Denver? Phillies totals: 15 runs, 30 hits, 436 pitches thrown by 15 different pitchers. Rockies: 22 runs, 40 hits, 400 pitches by 11 pitchers. Eight of the Phillies 15 runs came on Friday, a come from behind 8-7 win, their lone one. Cole again pitched well on Sunday but again came out with the L. In his 15 starts, the Phillies have scored three or fewer runs 11 times. While he’s in the game, a total of 31 runs, zero on Sunday. The second consecutive three-city trip ended 3-7. Sunday’s two runs in the ninth inning lowered their average runs per game on the road to 3.20, lowest in the majors. Unfortunately, the Phillies next three trips are all three city stops. Then starting July 30 through their last home game (September 22), the Phillies have 34 home dates and 16 on the road. Game 71 is tonight, the first of three nights against the Nationals who are making their first Citizens Bank Park visit in 2013. (The Braves still haven’t been here). They are followed by three with the Mets. Against the NL East the Phillies are 16-9. **Lehigh Valley took 2 of 3 from Scranton. RH Ethan Martin (6-3) allowed 1 run in 7 innings to pick up Friday’s 4-1 win. Yesterday, LV won, 5-4, in 11 innings, a walk-off win in which they didn’t have a hit in that inning: walk, walk, hit by pitch, Cody Overebeck SF. All three games were sold out, 10,1000. **Reading swept 3 in Richmond, 3-1 in 10, 3-1 and 5-4. Derrick Mitchell’s 2-out double in the ninth inning tied Friday’s game and Edgar Duran’s double won it in the next inning. Saturday, 2 runs in the 8th, wild pitch and RBI single by Albert Cartwright produced the winning runs. Sunday, LH Austin Wright (2-3) picked up his 2nd straight win. **Clearwater was on a 3-day All-Star Game break. **Lakewood won 11-5 on Friday, scoring 3 in the 7th, 8th and 9th innings. Dropped the next two at Hagerstown, 3-2 and 9-6. **Williamsport opens its season tonight at State College. Home opener is tomorrow night against the same team. Lakewood is hosting the South Atlantic League All-Star Game festivities the next three days. Celebrity Hitting Challenge is tonight and the Star game tomorrow night. For more information, visit http://www.blueclaws.com. June 17, 2012–Playing in Toronto, Jim Thome leads off the second inning with a home run, his 100th as a Phillie. Thome became the 4th player in major league history with at least 100 home runs for three different teams, following Reggie Jackson, Darrell Evans, and Alex Rodriguez. Going into the seventh, Cliff had allowed one hit and no runs. A lead-off walk and a questionable call at first base set up a two-run inning that put him down, 2-1, a familiar story. No support from the offense. Four batters into the game, the Phillies had a run. Then nothing, which too often is a pattern they’ve followed. This time, they piled up hits but couldn’t hit with runners on base. After seven innings, they had 11 hits and 13 left on base and one run. Tailing, 2-1, the offense strung together three straight hits to take a 3-2 lead. With two more runners on base and no out, the offense went dormant again, blowing a chance to blow open the game. 15 hits and 15 LOB, both season highs. Suddenly, a Cliff loss turned into a Cliff win. In the first inning on radio last night, LA said, “Phillies have two stoppers. One is a starter and other a closer.” He was referring to Cliff and Pap. 10 times Cliff has started after a loss. He’s 7-1 in those starts. It was his first save opportunity since May 29 for Pap. 10-game road trip ends with three games in Denver where the Phillies are 34-30 at Coors Field. Overall, the Phillies have a 90-62 record against the Rockies, one of the top offensive clubs in the league. Back home Monday night for six games against the East and then another 10-game journey. Phillies became the 10th team since 1900 to collect at least 16 hits in a nine inning game and score three or fewer runs. Only one other team won such a game and guess what, it was the Phillies, 3-0, over the Pirates, July 6, 1954, behind Curt Simmons. They got 17 hits that time in eight innings. **Lehigh Valley beat Scranton, 4-2. HR: 1B Cody Overbeck (12); LF Darin Ruf (6); his 7th inning HR broke a 2-2 tie. WP: Justin Friend (4-1); SV: Cesar Jimenez (1). RH Carlos Zambrano, no decision, 5 IP, 4 H, 2 R, 4 BB, 5 SO; 101 pitches. Chooch will begin a rehab assignment on Saturday night. **Reading edged Bowie, 4-3, in a game that included a 1:57 rain delay. C Sebastian Valle, 3-4, 2 RBI, including the game-winning single in the 8th. WP: Luis Garcia (1-1). No decision, Brody Colvin, 5 IP, 3 H, 0 R, 2 BB, 4 SO. **Clearwater lost, 5-4, to St. Lucie, allowing the winning run in the 9th. 3B Maikel Franco, 2-5, 15th HR, 2 RBI (49). **Lakewood was rained out at Hagerstown. **Williamsport opens its season Monday evening at State College. June 14, 2004–1B Jim Thome homers off RHP Juan Acevedo in the first inning at Citizens Bank Park for his historic 400th career HR. Phillies win, 10-7, over Cincinnati. June 15, 1949–1B Eddie Waitkus, in his first year with the Phillies, is shot by 19-year-old Ruth Steinhagen in a Chicago hotel room. Critically injured, Waitkus misses the rest of the season, but recovers in time to help the Whiz Kids in 1950. June 15, 1991–RHP Andy Ashby becomes the first and only Phillies pitcher of the century to strike out the side on nine pitches when he whiffs 1B Hal Morris, LF Todd Benzinger and C Jeff Reed in the fourth inning of a 3-1 loss to Cincinnati at the Vet. For more Phillies Phlashback moments, visit http://www.phillies.com/alumni.